Community Service is an essential part of the Award Programme, and the Award Participants from Euroschool Airoli kept themselves deeply involved with the community. Deepali Bhagwate (Award Leader) is sharing the viewpoints of two Bronze Participants, Neel Vinchi and Shravya Kanungo, on their Service section. 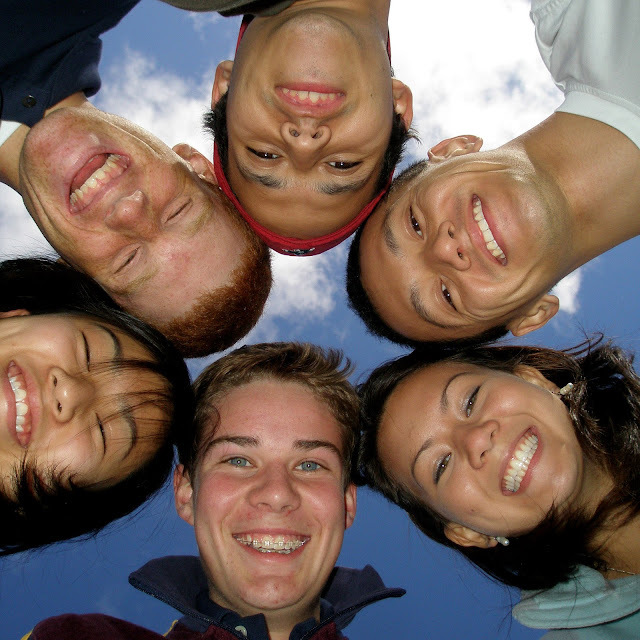 The International Award for Young People Programme has developed many abilities in us, one of them being the ability to make some time for the people in need of our help. I feel very proud to say that I have managed to set aside time every week to do my community Service. I started my Service with a Christmas party for the underprivileged children of Mulund, Mumbai. I learnt that there are a lot of people in this world who live so close to us, and yet so far. I had volunteered to help the Rotaract Association of Mulund in organizing the party. My visit to Prem Daan, Airoli, Navi Mumbai completely changed my perspective. The people living there were very poor; indeed, Prem Daan was there only saviour. I was very moved by this and thoroughly enjoyed interacting with them and helping them in their work. I had also gone to a kindergarten where I was transported back to my childhood. Such was the joy I gained in meeting those little children! When I went to an institute for the blind I loved interacting with the people and also read to them. That was when I realized that I am indeed lucky to have my body functioning properly and that the ones who don't are facing a ton of difficulties in life. Therefore, through the IAYP Service, I have learnt to be happy with the little things in life! When I enrolled myself in the IAYP programme, I had no idea that it would make such an impact in my life as a young teenager. It has probably been the most important educative tool that my school has given me, wherein I learnt things, not just by reading and writing, but by doing them practically. 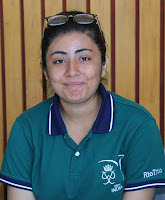 The IAYP programme has not only helped me develop my survival skills and make my connection with nature but most importantly, it’s Service section has made me aware of my duty and responsibility as a human being towards the underprivileged sections of our society. As a part of these programmes, my school had organized a visit to Good Shepherd School in Navi Mumbai, where we taught the junior students about the solar system through origami. We also visited a remote area of Maharashtra called Shahpur, where we conducted various activities and study sessions for the primary, middle and senior school students. The awareness brought in by these kind of programmes has made me a better human being. Such activities have become a part of my life now. I have started visiting orphanages and elderly institutions and spend time there by doing whatever best I can in my capacity as a student. National Award Authority organised a one-day Award Leader Training (YES) Workshop at O.P.Jindal School, Raigarh on 8th June 2018. Capt Shweta Singh (Award Leader) is sharing a report on the workshop. Keeping the above aspects in view, a training workshop for Award Leaders was conducted on 8th June 2018. Bivujit Mukhoti, Programme Manager, IAYP, who was very enthusiastic and high spirited, has facilitated 22 Award leaders of four different schools, i.e. O.P. Jindal School, Raigarh; O.P. Jindal School, Nalwa; O.P. Jindal School, Kunjemura; and O.P. Jindal School, Savitri Nagar. The workshop was based on the introduction of Award, Philosophy of Award, Service, Skills, Physical Recreation, Adventurous Journey and Residential Project for Gold level. Under each session, the Award Leaders under training performed a few activities that made use of their imagination, skill and initiative. The day ended with the vote of thanks given by Capt. Shweta Singh, Sr. Mistress. Overall, it was an innovative and creative learning experience. Twenty-year-old Geeta and Amrita were born and brought up in Tughlakabad village in Delhi and have been best friends since their school days. Both the girls are full of life and have a thirst for learning more and more. Currently, they are in their second year of graduation in the BA programme from the School of Open Learning, DU. 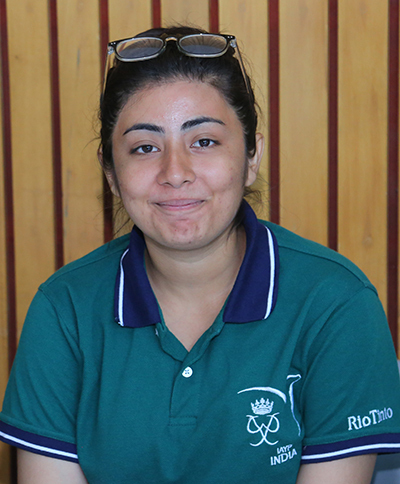 Amrita has 5 members in her family -- her father, mother and two elder brothers. Her father works in a fiber company and earns Rs.8000-10,000 per month. Her mother is a homemaker and supports Amrita's dream of flying high. One of her bothers works in Vodafone and can make up to 15,000 per month, the other has recently started working and earns up to 8000 per month. Including Amrita's internship stipend, the family income comes up to approximately Rs. 35,000 per month. Geeta, on the other hand, has 5 siblings: The two eldest sisters are married, one sister works as a teacher, one brother is in school and the other one is working and earns up to Rs. 10,000 per month. Her mother works in an export house and makes Rs.5000/-. Her father passed away due to a heart attack. The total family income, including her internship stipend, is approximately 20,000 per month. They joined The Naz Foundation (India) Trust in 2015 as participants of the YPI programme. YPI uses sport and life skills education to transform the lives of adolescent girls. They showcased their leadership skills as participants and started interning in Naz India as Community Sports coaches from August 2016. 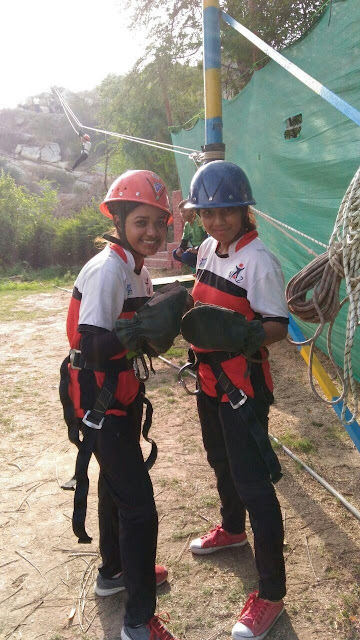 Naz India gave them a lot of opportunities to make them better and more confident leaders. After 8-10 months of their internship, they were introduced to the programme called the International Award for Young People, which is a Youth Empowerment programme and helps in their holistic development. They both enrolled themselves at the Bronze Level and are keen to do the Silver Level as well. Under the Skills Section, Geeta and Amrita took up the Beauty and Make-up course for a year from the NGO Sarva Saman in Tughlakabad. They received a Diploma certificate after successfully completing the course. They got an opportunity to run a beautician centre in the NGO Deepshikha, which is supported by the Church they go to. The church in-charge gave them the space for the centre and also the products initially. The students are charged Rs.150 per month, which is utilised for buying the material required. The course is of six months and teaches basic skills like waxing, threading, etc. They get the certificate which is recognized by other salons. The centre is solely run and managed by Geeta and Amrita, for which they get Rs.1000 each per month. Till now they have trained 25 women, out of which 3 have started working in some salons, 8 have successfully completed the course and the rest are in the process of completing it. They both said that they have become financially independent as they get Rs. 3500/- as a stipend for interning with Naz India and Rs.1000 from the Beautician Centre. As learnt in Naz India, they know how to manage their money well, they make a budget first and spend and save accordingly. Both Geeta and Amrita aspire to open a Dance Academy together. They both are very passionate about it and are working hard towards it. They also have a Plan B as they are running a beautician centre of their own. In the near future, they want to expand that too.